Will 280 Words Allow For More Nuanced Tweets? 280 words instead of 140. Does it mean anything? I have read that it may be intended to increase the signal to noise ratio – upping the complexity of what can be communicated, bringing more nuance to the table, but I can’t say that I am convinced. Given a lot of the problems that people have been discussing with the way that the streams are organised and the searchability of the data, and other more pressing issues, such as screening content you don’t want to see, this seems like window dressing, or consists of addressing a problem that isn’t a problem. 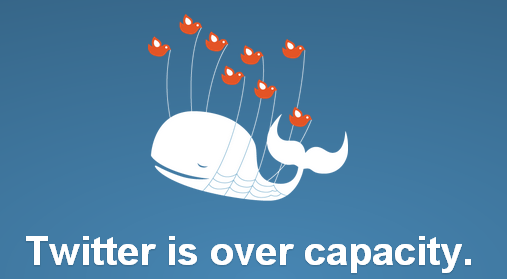 A lot of Twitter’s issues have come from moving further and further away from what Twitter used to be. Every social media platform seems to go through a period of bloat, where the primary issue becomes about how to control the flow of quality data that a person receives. Facebook is constantly tweaking it’s algorithm to address this. Myspace effectively crapped itself and died. No one has really nailed it though. Why? Part of the problem is that when you use an algorithm to program what someone sees based on what they have already looked at, you are selecting out and narrowing down the data set, so as they progress onwards they are going to reinforce the kind of things that they see because they are going to be choosing from an increasingly limited subset of posts. Facebook gives you the choice of Top News Stories or Most Recent, but every time you move somewhere else on the site and come back it is resets to Top News Stories. This is more than a little frustrating, and when you repeatedly select Most Recent and keep losing it, you sometimes don’t notice that you aren’t seeing a whole swathe of people and their posts. How quickly does it happen that failure to interact with a particular person decreases the likelihood of seeing their posts? The feeds are supposed to facilitate interaction with your friends, but that becomes harder and harder, especially if you use it to network. Who wants to have to visit every single friend and acquaintance on their Friend List? Twitter seemed really interested in becoming Facebook for a while, but they weren’t as good at that as Facebook were. Myspace didn’t come out well from their battle, and it may just be, but the site seems to be a horribly designed mess that offers nothing like the possibility it had before Rupert Murdoch dabbled in its guts and sucked its fiscal blood and left it for dead. So, Twitter has to find something that is uniquely Twitter in order to survive, and maybe this approach will handle the thing that more than one high profile user has complained about – the signal to noise ratio. Early adopters tend to, not exactly migrate all of their contacts, and up sticks and move, but they do explore and test the uses any new platform has, and the more useful ones are kept, while the ones that add more noise tend to get dropped. Trying to achieve Inbox Zero is not easy on any platform, and once a social media tool gets popular enough it has to start raising funds to pay for development of both infrastructure and new features in order to keep up – monetizing brings a whole new set of problems. Ads or commercial accounts tend to up the noise, and can drive away people who chose a place because it wasn’t like another social media platform. I know of a few early Twitter users who have it set up purely as a feed dump, where it genuinely used to be a place where you could converse with others of like mind. So, again 280 words? Does it really make for a qualitatively different experience for the user on either end? I am sure I am not the only one who liked the brevity and succinctness called for by 140 words. It’s not like the change is going to drive me away, but because of the way I have been using Twitter, and the way I have seen others use it, this doesn’t strike me as being the solution. Being able to sort the influx data into subsets that you can easily search to find the things you want to change, and being able to interact with your friends in a more efficient, equally searchable and well-indexed way, seems like it might be more useful. I don’t know if Twitter surveys before it makes changes. I’m not sure Facebook does either. But the changes that often come unbidden seem to derive from someone giving you what they think you might want rather than just asking you, and that’s problematic. It’s early days. Maybe it will spark a revolution. Hopefully it won’t spark anything more destructive.